McDonald's unveiled a new mascot today. It's called "Happy" but so far the reactions have been anything but. Compared to previous mascots, like Ronald, the Hamburglar and Grimace, the new character is an exercise in simplicity. There's no extra story or costuming. 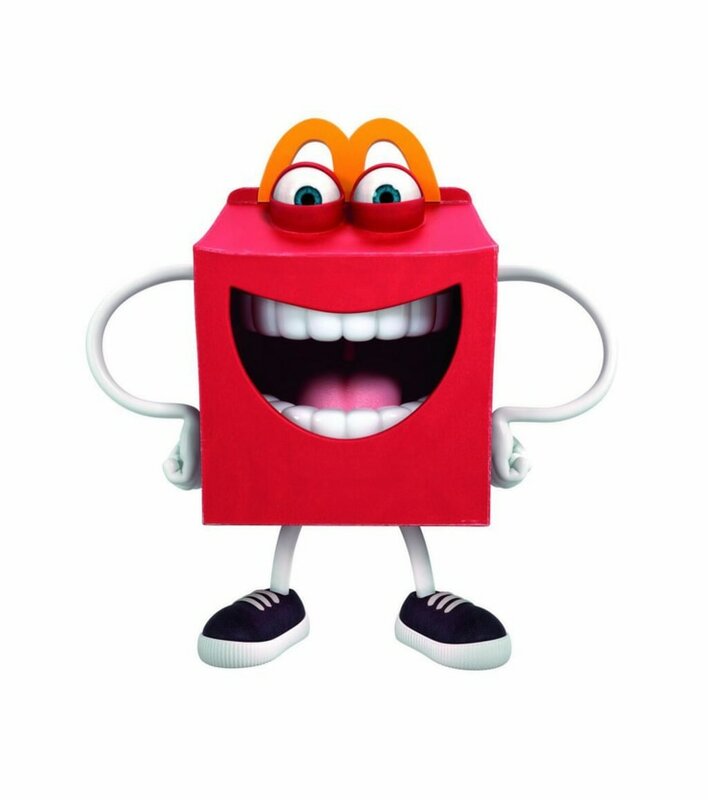 Happy is an animated Happy Meal box with a set of teeth on the front and a pair of cartoon arms and legs. Incredulous reactions quickly followed McDonald's tweeted announcement, focusing on the character's perceived "creepy" and "terrifying" factor. "At McDonald’s, we’re always looking to bring fun and happiness to families," said Julie Wenger, senior director of U.S. marketing, McDonald’s. The character has been around overseas since 2009 but this is the first time Happy is being introduced stateside. Rebuffing online critics, McDonald's spokeswoman Lisa McComb said the character "has been loved and well-received by children and families in Latin America and Europe." The fast-food company wants to position Happy as a healthier spokesperson for kids to promote "improved nutrition" choice. The character's entrance coincides with introduction of Go-GURT Low-Fat Strawberry Yogurt. It, along with apple slices, can replace the kid-size fry as the side in a Happy Meal. McDonald's is confident Happy can weather the social media ripostes and that the spokescharacter will resonate with the general populace. "Social media is a great place to have a conversation and express an opinion, but not all comments reflect the broader view," the company said in a statement.